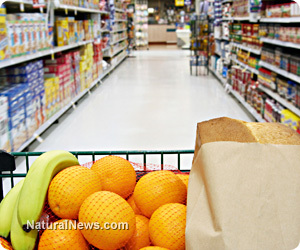 (NaturalNews) One of the biggest obstacles holding people back from eating healthy is easy access to resourceful information, about chemicals in foods, or natural remedies and supplements, and about new choices to make right at the store. If only technology made something for your phone, so you could scan every product's barcode and get a quick, reliable summary of what you're really getting. For instance, is it GMO? Does it contain gluten? Am I allergic to the ingredients? Guess what? The smart phone app already exists, and has been around for a few years, but hardly anyone knows about it. That's all about to change. (http://www.fooducate.com/). Remember the old saying, "Let your fingers do the walking?" In other words, let your fingers do the research, if you don't have the time or energy. The smart phone app will uncover the lies, the food toxins, the food criminals, and expose them, right on the spot! If you read labels at all, you can read the Fooducate app even easier. Now you don't have to try to figure out what all those long crazy words or ingredients mean that you can't even pronounce, and you will know whether they include GMOs, pesticide, insecticide, herbicide, or toxic food coloring, aluminum (heavy metals), gluten, MSG, Aspartame, or other cancer-causing, heart attack-breeding junk that's put in our "natural" food. Even organic foods can be checked for a rating, so you can make a fast judgment call as to whether or not you want the ingredients of a particular product to get past your "body guards" and enter the temple of your soul. Scan the bar codes of everything you consider buying and eating! • Find out what is GMO or is Non-GMO in seconds! • Find out if something is vegan, vegetarian and organic - instantly! • Filter out wheat, gluten, food colorings and food allergens! • Get a quick calorie count and fat content (the good and bad fats)! Just go to the "play store" on your smart phone under applications and search for Fooducate or click on the link in this article. No more excuses. It's time to heal your body and launch yourself into the natural and organic world of energy, vitality and longevity. Educate yourself. "Fooducate" yourself right now! Realize that because of huge corporations, the United States sells the most toxic food in the world. You can put guards at your gates by getting the FREE smart phone food app. Don't waste time wondering what you're eating ever again, just scan the bar code, read a short description and look at the rating it gets. Fooducate grades (rates) foods and beverages on a scale from A to D. There are 10 distinct grades: A, A-, B+, B, B-, C+, C, C-, D+ and D. These grades are based on nutrition, ingredients, and processing (if any). Fooducate also accepts feedback if you disagree with their rating. The best part of the Fooducate app is that it gives concise explanations along with a grading system developed by scientists, dietitians and concerned parents. I believe that if everyone started scanning bar codes with the Fooducate app and used the GMO/non-GMO indicator, there could be a wave of millions of people who avoid GMO entirely in the near future, and maybe, just maybe, we could put an end to GMO altogether (http://www.fooducate.com/).